The phrase “war on terror” is emotionally powerful. Promoted by the Bush administration and continued by the Obama administration, the war on terror combines two of the most emotion-laden words in the English language. The phrase is meant to frighten and to award the president permission to exercise broad wartime powers. It’s misleading because it inaccurately defines the enemy as an emotion. Conflict with emotions can be resolved only with psychological or spiritual weapons, not with armaments. Even correcting the phrase to “war on terrorism” would be misleading because terrorism is a tactic. Waging war on terrorism would be as much nonsense as sending the Marines to destroy kidnapping and blackmail. Although closer to the truth, even further correcting it to “war on terrorists” would be misleading because terrorists are not soldiers (although some inaccurately fancy themselves soldiers) and terrorism is crime. Therefore, terrorism should be addressed with law enforcement, not war. The war properly should be thought of as metaphorical (e.g. the War on Poverty) rather than actual. But the inclusion of the word “war” confuses people into thinking it should be an actual war. These corrections also would continue to evoke fear when the nation needs courage and wisdom. We must replace the phrase. 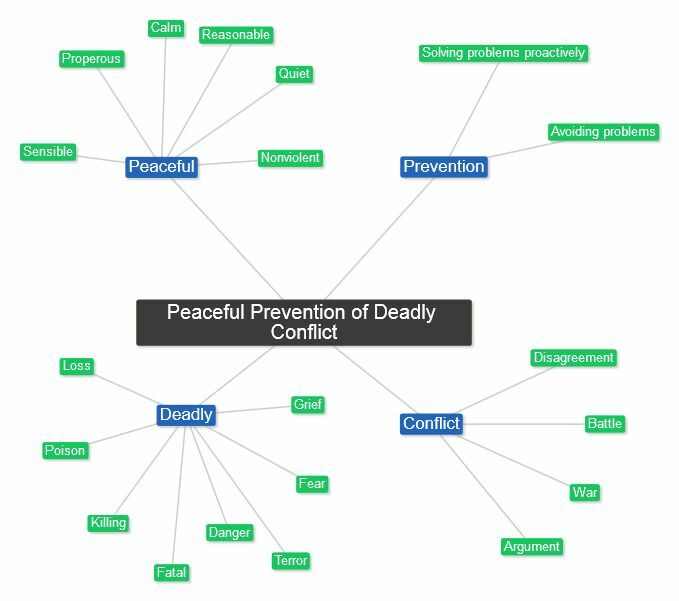 The best alternative I know I learned of from the Friends Committee on National Legislation: the peaceful prevention of deadly conflict. 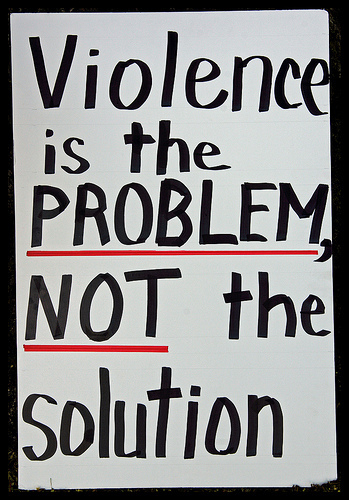 Much more than an alternative slogan, it’s a completely different way of seeing and responding to political violence. It is the duty of every nation, and we should remind the government of this responsibility whenever possible. The peaceful prevention of deadly conflict implies good overcoming bad. Also, opponents of the war on terror should call for law enforcement to bring terrorists to justice under the slogan “Handcuffs, not bombs.” This will make it possible to return the armed forces to their proper role. Doing so also can put the peace movement and the military on the same side. 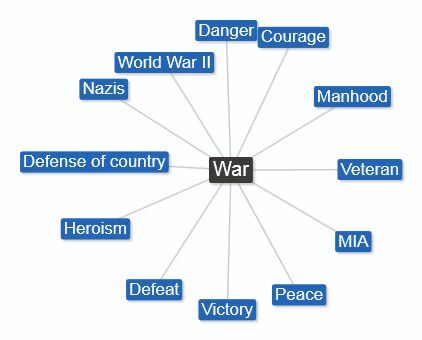 Just a few associations in America with the word “war.” It’s powerful and should be used with care. 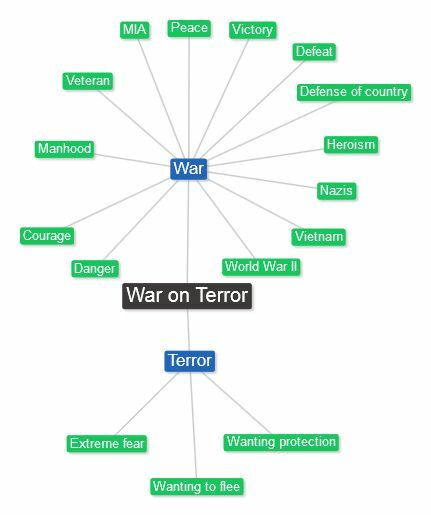 “War” is a problematic word because of its many connotations. 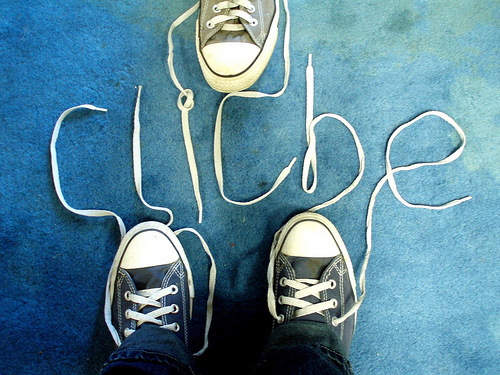 It evokes powerful positive and negative emotions and opinions that can vary widely among individuals and subcultures. For this reason, supporters of war often use euphemisms such as “action,” “conflict,” “force,” and “engagement with the enemy,” instead when they think it serves their interests to do so. Politically, presidents have been awarded greater power and prestige during wartime. This may tempt some to engage in war unwisely, so it’s very important to try to ensure that war is entered only after the failure of extended good-faith diplomacy, the failure of good-faith efforts to address the issues with law enforcement, and the establishment that an attack by the other side is imminent or has already begun. 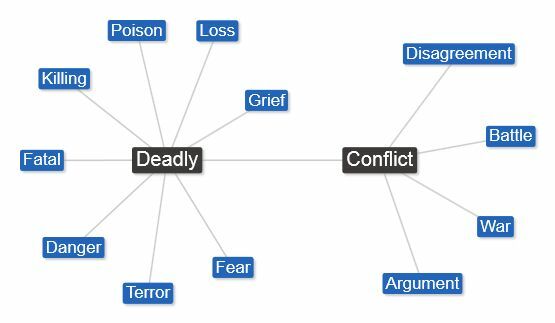 While the word “war” has many positive associations as well as negative ones, “deadly” connotes pain and death. One way to do this is to speak of deadly conflict instead of war. This phrase emphasizes war’s deadly character. The peaceful prevention of deadly conflict should be a priority of all governments, including that of the U.S. What do you think? I think it’s important to be careful about waging metaphorical wars on social problems such as drugs and poverty because they can’t be conquered with guns and armies. What do you think? Is there a different metaphor we could use?